Can you consolidate debt when you are already retired? Yes, you can! There are actually a lot of retirees who are forced to share their limited retirement funds with their debt. Despite their efforts to retire without debt, there are cases when it is just not possible. According to reports, the younger generations are making debt freedom a top priority over increasing their retirement funds. This is among those who are between the ages 40 and 59. It is not really the pre-retirement age but it is also not young either. This a dangerous situation because if they are not successful in paying off their debts, they will carry that over retirement. And since they prioritized their debt payments, their retirement fund would be lower. Imagine having to retire with debt and limited funds? That is a nightmare that none of us would like to have. In an ideal situation, your financial resources should be enough to help you pay off your debts and contribute to your retirement fund. You need to be more conscious of your money decisions because it can either lead you to have a stronger financial future or it can destroy your retirement. But what happens if, despite your best efforts, you still retire with debt? What can you do? Well, one option that you have is to consolidate debt. According to reports, 4 out of 10 retirees are paying off debt. These are the people who consider getting out of debt as their financial priority. Apparently, it is around the same number of people whose main concern is getting by on basic living expenses. 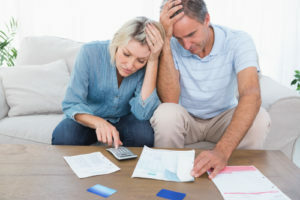 Of the people trying to get out of debt, 30% are paying off their credit card debts, 17% are paying off mortgage debt, and 11% are either paying off medical bills or student loans. As you can see, retirees are struggling to pay off their multiple debts. It is no joke especially if the retiree only has limited funds. Fortunately for you, it is possible for you to deal with your credit situation even while you are in retirement. If you can meet the following, you can consolidate debts even while you are retired. Most people who retire usually own their house – or at least already own the majority of the home equity. You can tap into this asset to pay off your debts. You can refinance through a home equity loan. This money can be used to pay off your multiple debts. Since the loan will be borrowed against your home equity, it will be considered a secured loan. This means you will have a lower interest rate. With a lower interest on your debt, you can save money on your payments. If most of your debts are credit cards, it makes sense for you to consolidate debt while you are retired. You do not have to put your house at risk by using a home equity loan. You can opt to use a balance transfer card. This is a credit card account that is offered with a low or zero percent interest rate as an introductory promo. This interest is usually in effect for at least 6 months. The longer the promo period, the more beneficial it is. You just have to pay a balance transfer fee of 3% of the debt you will consolidate. After that, all your payments within the promo period will go towards the principal debt. If you can maximize your monthly payments within this period, you can get yourself debt free without paying any interest. Opt for the balance transfer card that has a longer promo period so you have more time to pay off your debts before the interest rate increases. It is easier to achieve debt freedom with a high credit score compared to having a bad one. But if you retired with a bad credit score, do not feel frustrated. You can still consolidate debt while you are retired. You just have to opt for debt management. This is a type of consolidation strategy that involves a credit counselor. They can help you create a debt management plan that is basically a repayment plan for all your debts. It will be customized according to your payment capabilities. Once you agree to the plan, it will be sent to your creditors and lenders for approval. When they agree, you just have to send the total monthly payment to the counselor. They will take charge in distributing the money to your multiple credit accounts. The three options to consolidate debt will all be dependent on your assets or ability to pay each month. Make sure that you will only agree to a plan that you can afford to pay off. While you are paying off your debts after consolidating it, here are two things that might help make debt freedom easier to achieve. Look at your lifestyle and see where you can save money. Sometimes, you just have to manage your finances properly to be able to afford debt payments despite low financial resources. If you own your house, check if you can sell it so you can buy a smaller home. This should be more practical since your kids have already moved out. When you have a smaller house, it is possible for you to pay it off in cash – at least, if the equity of your old house can cover it. If you are lucky, you may even have some cash left over to pay for a portion of your debts. You can lower your debt balance – getting you closer to debt freedom. With a smaller home, you can lower your monthly expenses. The electric bills and other utility bills will be lower. A lot of monthly expenses will go down and will cost you less. Even if you still have a few debts to pay off, it will be easier to completely pay them off now. Check the other areas in your life that you can save on. List all your expenses and find out how you can lower the cost on each one. This will not just help you with your debt payments, it can also prolong your retirement fund. In case downsizing your life is not enough, you can always opt to look for a part-time job. This is quite useful if your retirement fund is not enough to meet your basic needs in the first place. According to reports, the three sources of income (Social Security, pensions, and savings) of retirees are not enough to sustain a comfortable retirement. Sometimes, the retiree failed to save enough money in the first place. It is either they started late or they did not participate in a retirement plan in the workplace. It is possible that their retirement savings are compromised because of the presence of debt. If they retire with these debts, it all becomes quite stressful. In case you want to really get out of your credit situation, just get a part-time job that will help you consolidate debt. This extra income can help you pay off your debts and increase your retirement fund. There are so many retirement jobs that will not stress you out too much. It might even be good for you since you can keep your mind and body active.